One brilliant, multi-colored flower next to one really magnificent work of art. 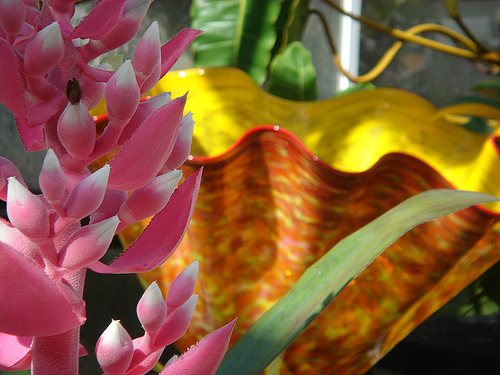 The photographer writes: "The first Chihuly exhibit at Fairchild. This was a bromilliad in full bloom." 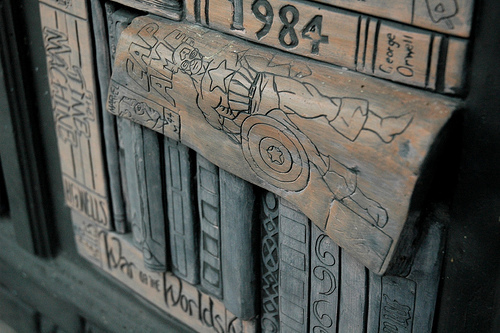 "Books formed in cement at a closed bookstore in Mount Dora, Florida," the photographer explained. I'm really grateful to the photographer for preserving this fascinating detail. I would love a world in which commerce united with art in the external details of buildings, but I suppose it's not practicable. "Cement Library" by Vince/Kitsu (website:[relax]). The amazing photographer Miz Shoes has more astonishing imagery from the Chihuly exhibition at the Fairchild. 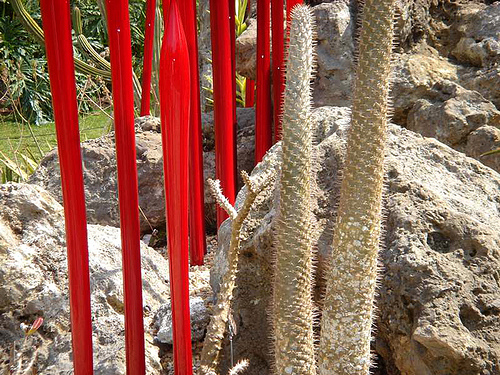 Just imagine: till I saw her photographs, I did not know about Chihuly. And then---through one of those pieces of synchronicity which form the stuff of life---a young person I know referred the very next day to Chihuly glass and this specific exhibition. I do not own the rights to this photograph, but am using it by permission of the photographer (to whom all rights are reserved). Please write for permission before saving it or using it. 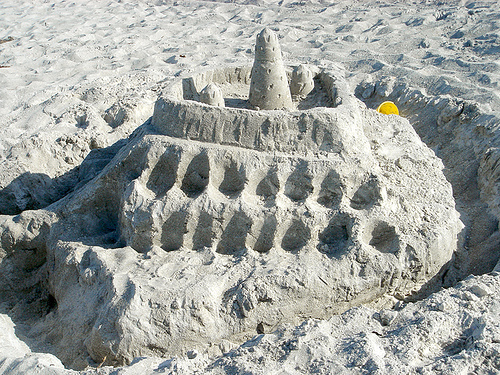 Inspired by this photograph, I just started a new category: Florida sandcastles.